The UC Berkeley Institute of Urban and Regional Development co-facilitated a spring 2017 seminar titled "Cities for Life: Lessons from Medellín" with Aníbal Gaviria, former Mayor of Medellín (2012 - 2015) and Governor of Antioquia (2004 - 2008). This web portal compiles, seminar guest lectures, interviews, materials & resources, as well as a summary of the seminar content and key lessons addressed. Towards a city for life. Watch the Cities for Life Seminar summary video. Get to know semiar guests including four speakers from public, private, and academic spaces. Watch seminar lectures covering a range of topics including public space, mobility, education, governance, and urban identity. 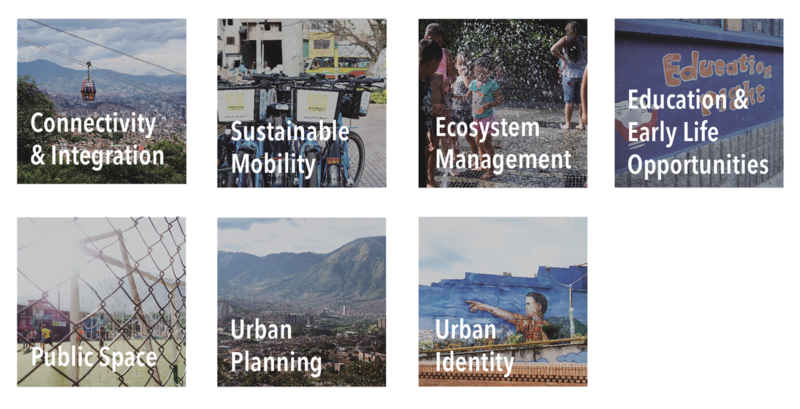 Listen to interview podcasts with guest lecturers, and get their inside take on Medellín's transformation.